Farming is a wonderful hobby for many. One of the greatest qualities of any great civilization is the ability to have sufficient food reserves.A steady food supply is crutical for your long term survival, even if you don’t have that much space in your garden. Besides, food is not the same as it used to be. GMOs are the order of the day and the widespread use of pesticides has certainly changed the way food tastes and affects how healthy (or not) it is. The price of organic food and other healthy alternatives soar continues to soar, and one can only wonder where it will end. In this guide, we hope to bring back the lost art of growing your own food. 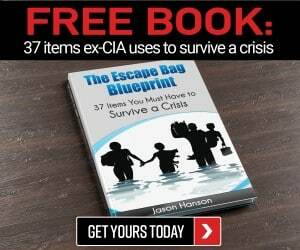 Any experienced prepper will understand that their ability to survive will hinge on having enough food. Self-sufficiency in food production, or at least partial, sufficiency, is what we aim to achieve. Do the right thing, in the right place at the right time. What Should Go Into Your Quarter Acre? Deciding what you should do with your quarter acre can be a tricky decision. Planning what exactly to grow or raise on this 10,000 square foot plot of land and in what quantities is a job unto itself. The ideal, well-rounded, quarter acre farm should have fruits, vegetables and livestock that are easy to grow. Notice we still have around 2000 square feet left over. 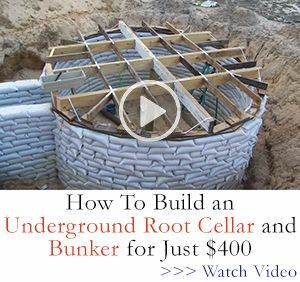 This could be used for extra space or walking paths, as well as a storage shed for tools or for future expansion. Opting to grow more fruit trees by reducing the number of animals you have is also a viable option. Others may choose do without livestock or fruits all together and strictly grow vegetables. It is all really a matter of preference. Growing fruits and veggies that you want to keep at your bug-out location for when SHTF is also a good way to plan your crop. When considering whether to have animals on your farm, assess if you have the time to care for and an interest in animals. Ensuring you have the necessary resources, willpower, knowledge and space to provide care for them will make the process much easier. Try and build your pens far enough away from your house to avoid smell and noise. Ensure that your pens are secured from thieves and other predators like snakes, foxes or coyotes. Building a raised pen or coop for animals is recommended. Ventilation and lighting are important for healthy pens, coops and stables. Remember that hardy animals like goats will not need a complicated pen. Try to keep costs down to ensure that your farm remains viable. One must ensure that they have a clean water supply close to the animal pens for easy cleaning. Ensuring that your pens and animal quarters are regularly cleaned and disinfected is vital for their health; a ready fresh water source nearby, and keeping records of your cleaning schedule will also help you keep a clean, tidy, healthy farm. Spray the exterior of the animal quarters with insecticide and keep this area free from grass and debris. Ensure that there is as little dust raised as possible, by either installing concrete floor or keeping the ground damp. Spray the inside with insecticide and sprinkle detergent on the floor. Regularly clean and disinfect equipment and tack appropriately. Ensure all waste and litter is cleared from stalls and pens daily. Wash out stalls and floors thoroughly with a high pressure hose. Fumigate the pen periodically periodically to keep infestation of parasites down. Follow established guidelines. Wear protective clothing while cleaning, it is dirty work. Protective equipment includes a work coveralls, boots, gloves and goggles. A hard hat or dust mask must be warm when appropriate. When purchasing livestock, ask to be accompanied by a registered veterinarian and ask for the vaccination certificates of the prospective animals. Ensure the animals are lively and look like they are in general good health. Make sure that your shelter for the animals is ready and food is available. Just like humans, animals will experience stress and shock from movement and unfamiliar places. Proper feeding, both type and quantity, is critical for animal health and happiness. Considering space is limited on your farm, you need to you know how much feed to keep on hand for your animals. Livestock will different feeding requirements depending on the species, and as expected the larger the animal, the more feed it will require. A few rough estimates are below for adult animals. Using the above estimates, you should be able to determine the feed requirements of a herd or flock based on numbers. Every livestock farmer should ensure that sufficient feed is available for one month. The above quantities are a guide only, and specific instruction found on the feed labels should be carefully read. Like humans, an animals’ health needs to be monitored closely. Livestock like broilers will only thrive in controlled conditions. Artificial light and heating are a necessity, and the poultry house will need regular cleaning and disinfection. Developing a good relationship with your local agriculture department or vet will allow you benefit from their wealth of knowledge and expertise. Ensure your livestock is well fed. Disease and illness will arise if your animals are malnourished. Vaccinate properly. Trying to avoid the cost of vaccines will only lead to losing more animals in the end. A herd can be wiped out overnight if animals are not vaccinated, and a virulent illness strikes. Chickens: Merek’s disease, infectious bronchitis, mycoplasma gallispeticum, salmonella. Purchase animals from reputable dealers. This will ensure that your animals already have the necessary vaccination and are suited to your locale. Quarantine when necessary. Reserve space for sick animals by means of creating a sick pen. Isolating sick animals will prevent the spread of infection to other animals. Keep good records. 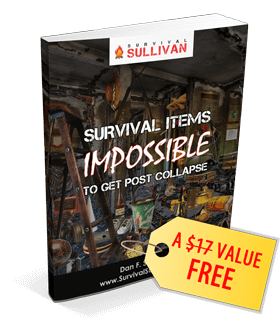 Ensure you keep records of all occurrences and the steps you took to solve these problems. This will serve as a guideline in the future, as each farm will have different prevailing conditions. CLAY SOIL- Water may not drain easily, and will form a hard compact layer. Very poor for crop germination. Crops with shallow roots system like lettuce and beans are ideal. SANDY SOIL – Comprised of hard material like stones, and does not hold water well. Loose, crumbly composition makes it ideal for deep root crops like beans. LOAM SOIL – Ideal soil type that has just the right balance of clay and sand. Is normally a dark, almost black color, has great drainage and very healthy for planting. A comprehensive resource on possible crops to grow in your area can be found here. Typing in your zip code will show you the crops best suited to your locale. I am sure you have heard the saying, “You are what you eat.” It turns out the same thing is true for your soil! Your soil will be healthy or not based on what you feed it. A good sign that your soil is nice and healthy is seeing worms in the top soil. These worms feed off the humus in the soil, and this turns into excellent nutrients for your plants to feed on in kind. Soil testing is best performed by collecting samples from different parts of your plot and sending them off to a lab for analysis. If you want to test your soil yourself, you should consider buying a soil testing kit from your local agricultural supply store. Apart from fertilizers, there is much you can do to improve your soil. Always think “green” when doing so: the fresher the green matter you add to your soil the better it is. Another great additive for soil is compost. Making your own compost is very easy. Take fresh leaves, vegetable scraps and others waste material and place them into your compost pit. You will need to other things to it like manure, leftover food, meat and other kitchen scraps. Cover this with another layer of green matter and dampen it with water. Repeat this step until you have the desired quantity of mulch-like compost. You can check on your compost heap after a few days. You can determine if it is decomposing properly if you stick your hands underneath several layers of the pile it should be quite warm. Dampen it with water every few days to ensure that the process keeps going. Before adding this compost to your soil make sure that any food scraps you added previously have completely turned into compost. If they have not, you will be inviting rodents into your garden. The presence of rodents will also mean you will be getting a few snakes sooner or later. You have been warned! During hot weather, mulching is always good idea. Mulching is simply the covering of the base of your plants with natural plant matter. This creates a natural shade for the soil that will reduce the evaporation of any water by the sun’s rays. Try to cultivate soil around your plant to encourage the retention of water, but keep clear of the plant’s roots while you do so. This depression will also help keep compost and fertilizer right where it is needed and prevent it from running off. A great type of mulch is wood chippings and grass cuttings from your lawn. When you think mulch, always think natural, and avoid mulching with things like plastic. 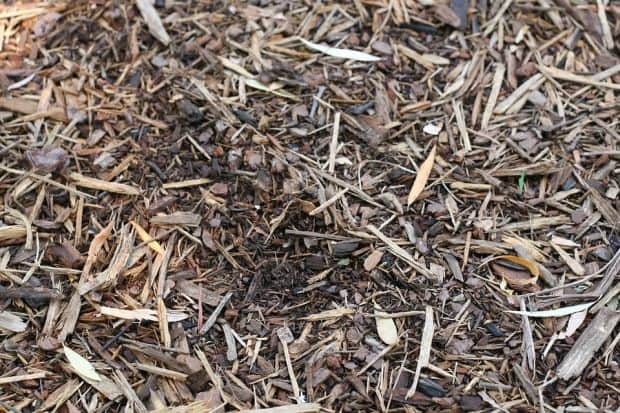 Natural mulch can easily be turned into the soil after it has served its purpose. Not so with plastic or synthetic materials! Following the step-by-step instructions in the video below will provide you with a comprehensive guide on how to create your compost heap. Soil contains several nutrients essential for plant growth, and as every plant grows, it consumes these nutrients from the soil in which it is planted. Once crops have been harvested from your farm, you must restore the natural supply of nutrients in the soil to prepare for the next crop. 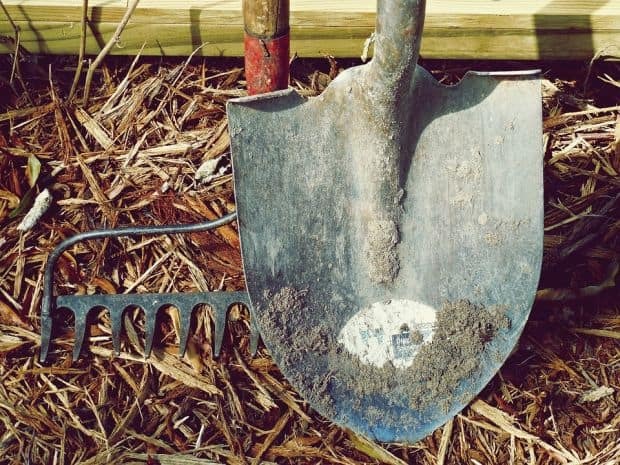 You may consider a technique to plough back the stems of the previous crop into the ground, allowing that organic matter to fertilize the soil. Nutrients can be added directly using chemical fertilizers, organic matter, and even certain types of plants. This will help to maintain the soil’s fertility, so that you can continue growing nutritious and healthy crops. Using fertilizer is expensive and can harm the environment if enough care is not taken. Therefore, before adding fertilizer, be sure to send a soil sample to a laboratory for baseline testing. This will enable you to know which nutrients to apply to the soil, and how much of each to apply. Fertilizing is about timing: if too little is added, your farm will not yield as much as it could, and if too much is added, or if it is added at the wrong time, excess nutrients will run off the fields contaminate groundwater sources or streams. The proper time for fertilizing depends on the Nutrient Uptake Pattern of the crop. For a given crop, each nutrient has an individual uptake pattern. Be sure to study these patterns when fertilizing your crops. Consider crop rotation also: crop rotation is alternating what plants are planted each season, thus changing what nutrients are taken out of the soil. Several factors should be considered for crop selection. Choosing the crops based on the current conditions and farming techniques suitable to your farm and planning to manage or avert known problems will help you enjoy a good start to your cropping season. Identifying the crops and varieties thereof that best suit the intrinsic properties of your farm will help you maximize yield and quality. First, be sure to test your soil as mentioned above. Identify which crops you would like to grow, and the soil laboratory will advise you based on the needs of your soil and crops. Every crop has its own fertility requirements. Given the relatively high cost of fertilizer, and relatively low cost of soil tests, and the fact that soil tests are the only reliable indicator of nutrient needs for your crops, you’d be better off using soil tests than going straight to fertilizers. Tailoring your choice of crops to the current condition of your soils is the smart thing to do, as it gives you higher chances of success with less up-front work and cost. This is because fertilizers, though they can help plants to grow in soils that are not naturally suitable for them, are expensive and may even be harmful to the environment and the surrounding soil. In some cases, different varieties of the same species of crop may have different nutrient requirements. Therefore, it is necessary to choose varieties that are suitable for your soil’s fertility levels. The length of the day is also an important factor. For instance, onions are affected by how much sun they receive daily. So you must select your crops in such a way that the plants’ needs correlate to the average amount of sunshine you get each day on your land. Do not select what crops to plant in a given season, if you haven’t first checked the records of the previous season and drawn valuable conclusions… like checking for recurrent disease problems in any particular crop or whether any of the crops did exceptionally well or exceptionally poorly. Evaluating what you’ve done, helps you to plan for what you intend to do. Make sure you follow planting guides to make sure you don’t plant to early or too late. Remember, the leaves of your plants are supposed to take up sunlight, not water! So never water your plants from overhead unless you absolutely have to. Always try to water right at the base of your plants. When you have younger plants, watering from above them can break their stems, and necessitate a long, slow recovery before it is able to grow again. Ensure you water with a watering can and a spout when possible and don’t forget to water as close as you can to the ground. One may consider a drip irrigation system for their plans that will help in conserving water. Drip irrigation can be effective but expensive at the same time. Ensure you have a specialist set it up for you and you have the correct water set for the plants that you have. Always try to water in the morning or late afternoon to avoid evaporation of the water by the sun. Once you harvest your crops, it is important to store them appropriately, so that they can remain in good condition for as long as possible. To accomplish this, there are several things to take into account, such as the type of crop (i.e. how perishable it is), the humidity and the temperature of the place where the crops are to be stored, the duration of the storage period, the quantity of each type of crop and the type of storage device or vessel. A few commonly used storage devices for crops are baskets, aluminum foil, fridges, barns and buckets. It is important to plan and have the appropriate type and number of storage devices and places ready before harvest, so as not to risk losing some of your perishable crops in the course of trying ready your storage solution after harvesting. Also, be sure to keep your storage devices and vessels neat and clean. 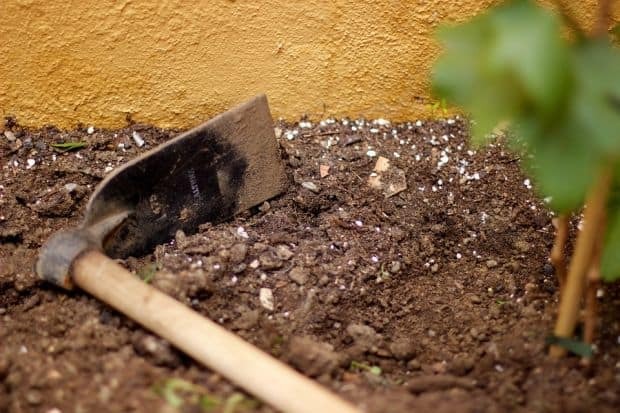 Make sure you regularly uproot any weeds that may be growing among your crops. Obtain clean sowing and harvesting equipment from reliable sources, and try to discover where the sowing and harvesting equipment was originally procured. Ensure that every person coming onto the farm is wearing shoes and clothes that are free from other soil and/or plant material before they enter or leave the farm. Contamination is a factor! Be sure to put on clean rubber footwear and protective clothes if necessary. Provide tools for cleaning your shoes and clothes for any person getting into or out of your farm, or leaving known contaminated areas for clean areas of the farm. Make sure you carefully keep a log of everyone who comes to your farm. In the event of a new pest being introduced into your farm, this will help trace its origin. Whenever possible, use proper wash down facilities. Make sure that the water used in such facilities is from a clean source, e.g. water treated by chlorination or any other process, rather than from a source whose water may have flowed over land on which crops have been planted. Periodically clean and disinfect your farming equipment. Acquaint yourself with difference pests and diseases that are common to your area and specific crops. 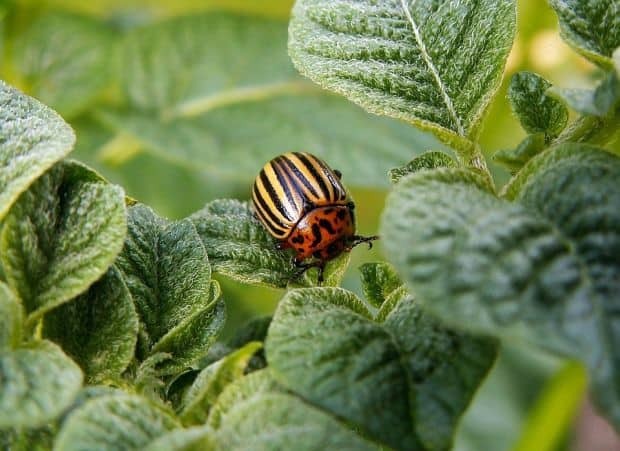 These tips are simply meant to give you the general attitude to have towards controlling pests and disease on your mini-farm, and all those working on or visiting it. Following these guidelines will go a long way to keeping it free from small or microscopic pests. Protecting you crops from larger pests like birds and other creatures may require you to make a scarecrow, is an inexpensive decoy that any crafty prepper will appreciate! The right time to plant depends on what type of crops you are cultivating and what climate you are planting in. Planting calendars are not difficult to find, but be sure to adapt them to your climate. If you are farming in the Mediterranean regions, note that some crops do very well in cool weather, whereas others only grow well when it is warmer. Most cool season crops, such as lettuce, cabbage and many others, can bear a light frost and are most likely to grow best when sown about two weeks before the last spring frost. Other crops like peas and spinach, are so cold hardy that they can even be planted “as soon as the ground can be worked,” as can be read on several seed packets. As for warm season crops like cucumber, basil and squash, frost will kill them if you sow your seeds too soon. The same wisdom holds for warm season plants such as tomatoes, eggplants and peppers; if you do not wait until the danger of frost has passed before planting them, a late frost will destroy them. For farmers in tropical regions, it is of the essence to follow the cycles of the rainy and dry seasons to determine when to plant. Fruits are a wonderful addition to your quarter acre farm. It certainly would be great to have fruit all year round! Below is a guide on when you should expect to harvest fruits from the specified trees. It also specifies time from planting to when the first fruits appear as well as frozen storage guidelines. Ensure that your soil is properly drained. A simple drainage test can be carried out by digging a hole that is about a foot deep, filling it with water and waiting for about 4 hours. If the water has been drained from the hole, then refill the hole and wait another 4 hours. If the water doesn’t drain while carrying out this test on either the first or second filling, then you may have poorly drained soil. The solution to this may be the installation of a French drain to improve overall drainage of your land. A French drain is essentially an excavated hole filled with porous material like gravel and rocks to allow water to drain more readily than through the soil alone. Normally, fruit trees can be bought from your local nursery. Trees that come from the nursery will indicate the appropriate soil line on the stem of the tree. Ensure that you plant according to this line as planting too deep or too shallow could lead to impeded growth. Trees require adequate space to grow, and crowding your trees limits the size they can reach. As a general rule, do not plant with less than 18-25 feet between trees to prevent them from forming a hedge (unless this is your desired effect). The tools and equipment you will require depends on what kind of farming operation you are running, the types of crops you are cultivating and on what kind of soil you are tilling. When choosing what tools to use, make sure you take into account the cost and availability, as well as the specific tasks they can accomplish. Also, make sure that the tools you use are of high quality so as to reduce the risk of breakage and accidents. This will in turn increase your efficiency and, hence, the yield of your farm. Sharing techniques and methods with others is normally fine way to perfect your craft in any endeavor. Farming is no different. Ensuring that you are up to date with techniques and methodologies of farming and crop storage is a great way to increase efficiency and decrease wasted time and effort. Knowing the latest trends, technology, equipment, vaccines and other farming-related info will keep you ahead of the curve. Your compact, bountiful quarter acre farm will be the envy of all your friends and neighbors. Some of us may have grown up on farms, while others may have been lived in the concrete jungle with a potted plant as our only crop. Either way, the principles of farming remain the same, be it for thousands of hectares or just a few square feet of garden. We would love to hear from you on how well your ¼-acre farm is coming along! 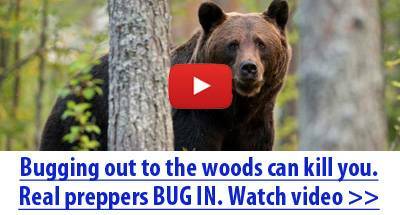 Be sure to share any tips and tricks you have up your prepper sleeves! Fixed, thank you for catching that.